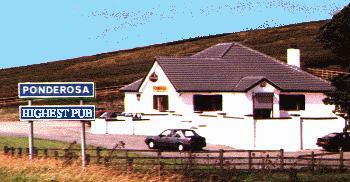 Thanks to a unique location atop the Glenshane Pass, Ireland's highest pub enjoys a truly international clientele. Have you got Google Earth on your computer? If so, then download the Google Earth Map of The Ponderosa. Is this the wrong position for The Ponderosa? If you think so, then modify its position.